These big loops remind me of dew-covered leaves. 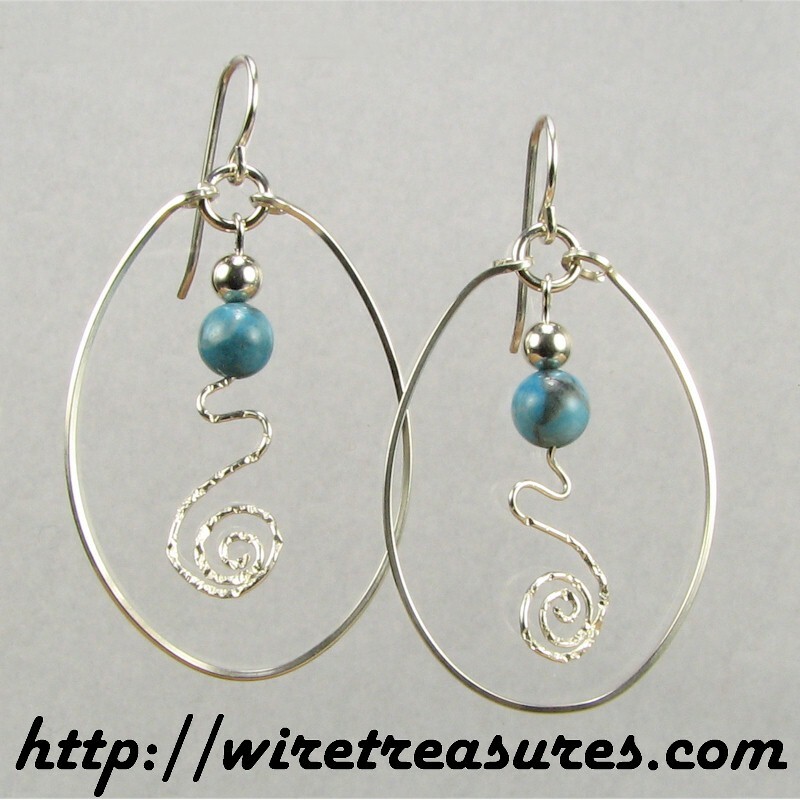 Large loops, with 4mm Sterling and 6mm Turquoise beads hanging on hammered wire swirls, and the overall look is fluid and pleasing. You'll love these! E-mail me for additional bead choices. These earrings hang down about 1-7/8". You are visitor number 3,246 to this page.